There is nothing like taking the time to ensure the air quality in your home is clean and pure, only to break out a caustic bottle of commercial cleaner and toxify it all over again. Luckily, you can choose from a number of equally effective natural cleaning alternatives that will still get the job done. In addition to preserving the integrity of your indoor home air, homemade home cleaners are much safer for kids and pets (and you!) and require only mixing up some common items you probably already have in your cupboards. But best of all, you will find that using homemade home cleaners is also much easier on your budget! Use the wrong cleaner on glass or mirrors and you risk damaging them. This recipe will not cause harm. What to do: Mix all ingredients together in a spray bottle and shake gently. Spritz onto a soft cloth or paper towel to clean surfaces. This is a great recipe for cleaning counters and also for inside your fridge. What to do: Mix in a bowl and use with a soft, clean sponge. You can simply use wet baking soda and a clean sponge in place of commercial scouring powders. 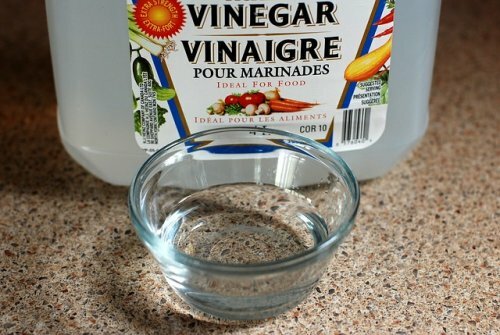 For very tough stains, you can add a splash of white vinegar, but take care to keep the vinegar away from the grout, as it has a reputation for degrading it. No one particularly likes cleaning the toilet, but it sure feels great to get the job finished in a natural, toxin-free way! What to do: Pour the vinegar and then the soda into the bowl and let it sit and fizzle for 5 minutes. Then you can use a scrub brush to scour the bowl clean and flush to finish. Mold and mildew are among the biggest culprits of poor home air quality. Luckily, they can be visible when they form, leaving a tell-tale trail of grayish black (mold) or powdery yellow/grey (mildew) in their wake. This recipe will remove both. What to do: You can mix equal parts white vinegar and lemon juice together or use either one on its own to wipe away mold and mildew. NOTE: For particularly stubborn shower mold and mildew, you can also mix 1 cup water with 1/3 cup hydrogen peroxide in a spray bottle and spray on the moldy areas (this recipe is grout-safe). Leave for 60 minutes, then rinse with the shower nozzle. You could spend a small fortune on commercial wood cleaners or make your own for pennies. Varnished wood: 1 cup warm water plus 1–3 drops lemon oil in a spray bottle. Unvarnished wood: 2 tsp olive oil plus 2 tsp lemon juice in a small bowl. What to do: Apply a small amount of either mixture to a soft cloth and wipe the furniture clean. For scratches, you can use a fresh walnut half and rub it along the scratched area to disguise the marks. Much has been written to date about some of the hidden toxins in those great-smelling commercial air fresheners we all love. If you find yourself unable to abstain, try these natural alternatives instead. NOTE: Just be sure you check for toxicity warnings first if you have a household pet—for example, cats in particular are known to be sensitive to many essential oils. Fridge Place a shallow dish of used coffee grounds or fresh baking soda in the back of the fridge to keep odors from taking over. Then add a half of a squeezed citrus fruit to the dish for some fresh scent (lemon is great). Living areas Boil a pot of water and drop in a tea bag or some spices to fill the whole house with a lovely scent. Garbage disposal Drop in a quarter of a citrus rind (lemon or orange is great here) and grind away: no more odor. Cooking smells While cooking foods with strong odors (such as fish or eggs), keep the odors at bay by simmering one cup water with one tbsp white vinegar in a nearby small pot. Room diffuser (use anywhere): Fill a small clean bottle with warm water. Drop in 25+ drops of essential oil of your choice. You can use clean dry twigs from your yard in place of commercial wood sticks to diffuse the scent. With these wonderful non-toxic, all-natural, and super-cheap home cleaning recipes, you can preserve the fresh, pure air in your home for the whole family to enjoy, and save on your weekly budget as well!